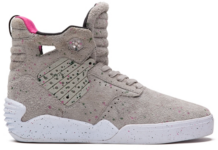 Supra also presents a “Tropez” edition of the high-top Cuttler. The U-throat eye stay construction and simple paneling of the Cuttler allows for ample expanses of the premium black pig suede in this Tropez pack mid top. 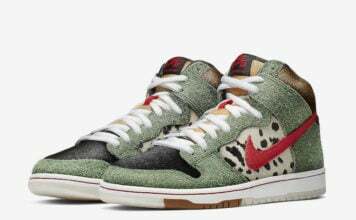 It has orange accents, black rope laces, and the interior is lined with a Native American inspired printed canvas. 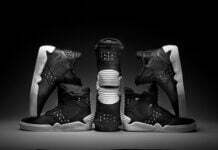 It’s built on a gum vulcanized sole with white foxing. The Cuttler “Tropez” is available at fine SUPRA retailers worldwide, and suprafootwear.com.